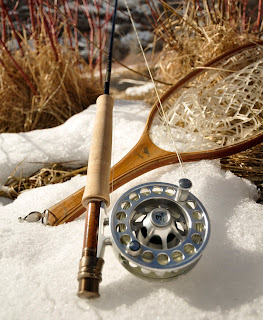 In fly-fishing fly rods are the wand that transforms effort and energy into a rhythmic dance that eloquently delivers wisps of fur and feather to an unsuspecting quarry. They are the essence of our sport that connects us to waters near and far. In my lifetime they have evolved from natural fibers the color of golden honey, to smooth fibers of glass to what most use to pursue the worlds fishes today, graphite. 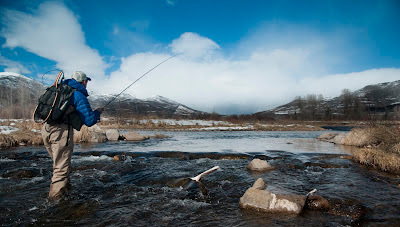 Although fly rods have changed considerably over the years what hasn’t is the process and the fact that some of the finest are still made painstakingly by hand here in the USA. Recently I took a tour through a manufacturing plant that is regarded as a world leader in fly rod innovation, technology and design, Sage. 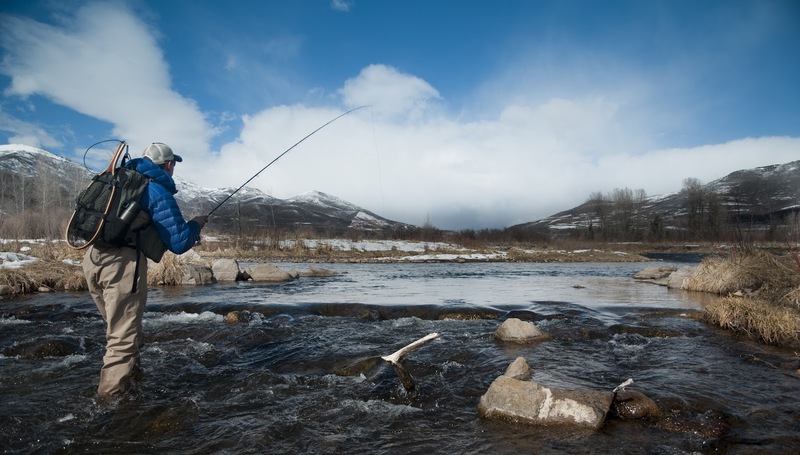 Unlike the growing number of fly rod manufacturing companies that produce their fly rods overseas, they choose to make all their rods in the USA. This wasn’t my first tour of a leading fly rod company or was it my only visit to Sage. On all occasions I was captivated by the methodical manufacturing process and the impressive number of craftspeople whose hands touch each rod before it is finished. Before taking the ferry from Seattle to Bainbridge Island, home of Sage, I had the opportunity to spend some time with Marc Bale, its VP. He was kind enough to put me up for the night at his beautiful lake side digs and chauffer me around rarely letting a minute pass without invoking some insightful thought on the state of our industry, our place in time and where our train may or may not be heading. Seems we’ve shared this conversation before. On the ferry we sat with several of Sage’s IT crew admiring their latest web-site that recently launched. Already my convictions that much has changed in this industry were being confirmed as we scrolled laptops and phones to admire the sites latest enhancements, gadgets and widgets. Although I would assume it’s a bit of a hassle for those who migrate from Seattle daily via ferry to the island, I felt it was a rather pleasant experience. I’m sure they find the novelty of this peaceful crossing somewhat arduous, but for me this water taxi added a very nice quality to the start of the day. A good cup of famous Seattle java only made the passage even better. Upon arriving at the factory a brief greeting in the lobby took place before being led to Jerry Seim’s cluttered office. It reminded me of my own disheveled confines back in Salt Lake. For those not familiar with him, he’s Sage’s head rod designer and has been since the first time I made this trek. Other than we both were older, his office looked as it did over a decade ago and stands as testament to someone whose life long pursuit of the perfect fly rod remains a driven passionate quest. I first met Jerry some thirty years ago outside of Will Godfrey’s North Fork Angler on the banks of the Henry’s Fork. He bet my fishing partner he could cast further with his hand than my buddy could with his new 9’ graphite fly rod. It wasn’t even close. For those who haven’t seen Jerry cast, his effortless and deceptively powerful stroke simply leaves one in awe. In this day an age of “Castrubation” and competitions it’s rare you’ll ever see him jacking it out there. Instead, should you be fortunate to grace his presence, you’ll find him more interested in discussing his latest pursuits, fly rod design or technology developments within the industry in general. He also likes to discuss his trips where he puts his fly rods to the test, but on this visit he was all business and for good reason. With his latest endeavor, the Sage ONE rod, he has raised the bar. We stepped out back to his private casting pond where he divulged the attributes of the new ONE rod. Unequivocally this brief, yet thorough synopsis of this rods unique features, from its color, weight, unique mesh of carbon fiber married with Sage's new proprietary resins were as impressive as Jerry’s effortless casts. I’ve always had considerable respect for Jerry and after this day even more so. Next I had the great pleasure of getting a rather lengthy tour with Steve Greist, Sage fly rods head mad scientist; handle bar mustache, white lab coat and all he looked the part. He’s been with this company since the beginning. Before he ran me through the plant, we spent a fair amount of time discussing the arduous process of building quality fly rods in this country; a fact that clearly sets them apart from their overseas competitors when it comes to consistent quality and attention to detail. That was on display at every corner of my tour through the Sage factory. Prior to my first visit to Bainbridge Island I expected to see a factory resembling today’s auto industry; lots of white coats, plenty of machinery, sparks flying, and hard hats. Yes Steve was wearing a white coat that day, but he was the exception. Having that over zealous image shattered I came away again in awe of the process and especially the personal touch and attention that goes into building today’s Sage fly rod. Given the manufacturing challenges that companies are faced with, I was even more impressed with Sage’s unwavering commitment to building all their rods in the states. Where others have succumbed they have stayed the course. Although Don Green, Sage’s founding father, is no longer with the company the reins of Sage are in good hands with Travis Campbell. To my delight his commitment to making Sage fly rods on Bainbridge Island and to maintaining the Sage brand as one of the cleanest and most recognizable in the industry is unwavering. As this company moves forward I believe his business acumen and tenacity will allow him to do just that. I can also attest that he's a dam good stick, whose is passionate about the sport and committed to its rich traditions. 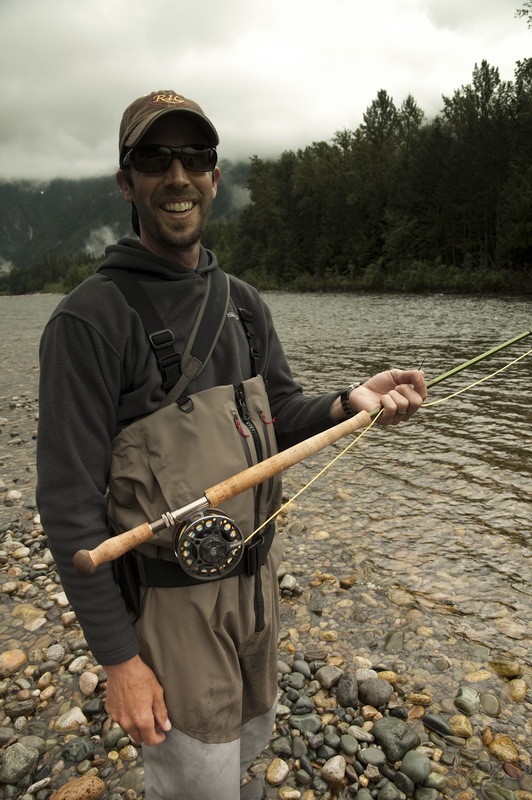 Sage isn’t the only company that makes fly rods or quality fly-fishing products here in the states. There are others. Many I am privileged to carry at Western Rivers Flyfisher: Simms waders made in Bozeman Montana, Abel and Hatch reels beautifully machined in California, Scott fly rods in Montrose Colorado, Waterworks/Lamson reels just north of us in Boise Idaho, Nautilus Reels south in sunny Florida, RIO fly lines in Blackfoot Idaho, premium Winston Rods in Twin Bridges Montana ,SA fly lines in Midland Michigan, and the list goes on. These and other dedicated companies manufacturing in the US produce some of the world’s finest fly-fishing products; products that in many instances are the driving force behind our sport, that are coveted today, but also will be treasured for generation to come. When I left Bainbridge Island I departed with a renewed perspective for those manufacturing companies that produce jobs and support local communities by continuing to manufacture their products in the USA, their dedicated staffs and the value in the products they proudly put in our hands. In this day and age it’s a significant challenge for any manufacturing facility whether here in the US or Europe to not wander to China, Taiwan or Korea. The next time you go to purchase something to wet a line with you should ponder the true benefits of their efforts. 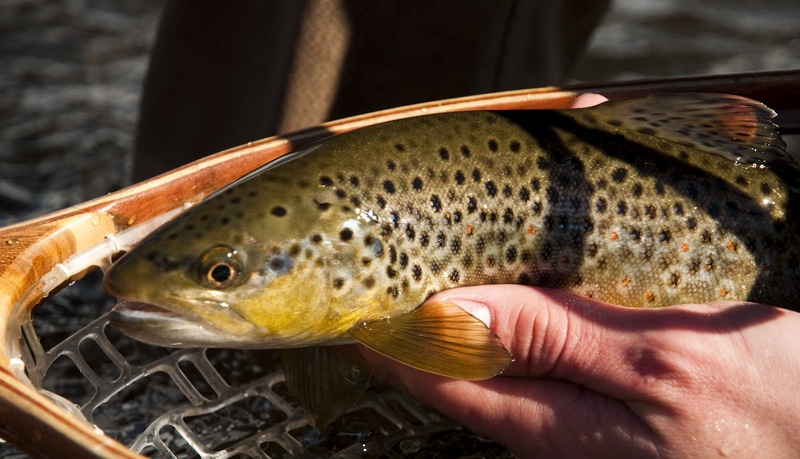 As I have you'll see they go far beyond just building quality fly-fishing equipment, accessories and apparel. That has always been important to me, it should for you as well if you care about the future of our sport, the worlds waters we fish, and fly-fishing as we have come to know it.